Constructed with clear plastic and stainless steel, these evacuation traps save your staff time spent cleaning filters and provide and easy view of debris. 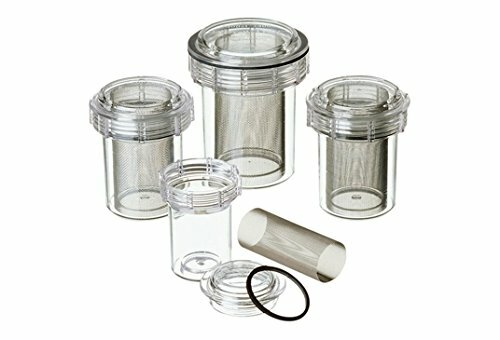 3D’s Evacuation Trap is a totally disposable canister, designed to replace the present canister and filter in your central vacuum pump. The infectious material is sealed in the canister where it cannot spill or contaminate your dental practice. Providing a completely disposable evacuation trap means that nothing needs to be cleaned and you can be assured that you have minimized all contact with infectious material. If you have any questions about this product by 3D Dental, contact us by completing and submitting the form below. If you are looking for a specif part number, please include it with your message.